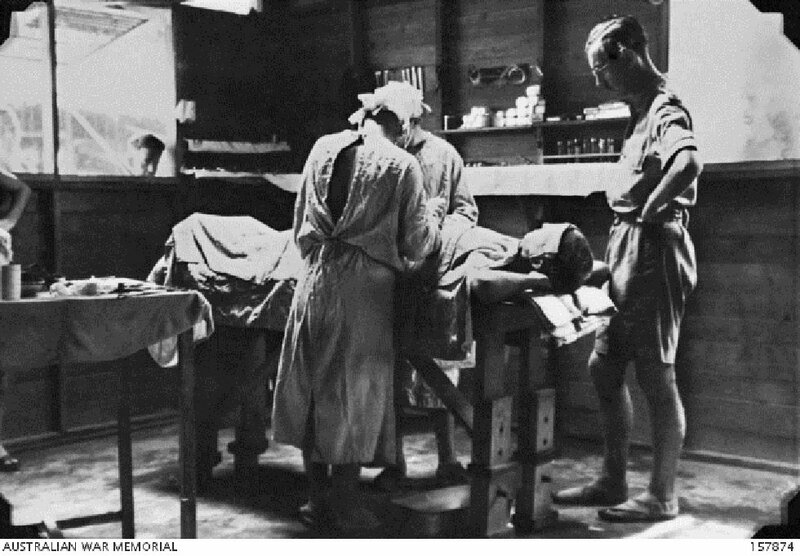 A surgical operation in progress in the operating theatre at the Nakom Paton POW hospital camp. Of the 896 operations which were performed here, there was a mortality rate of 18. Image taken circa 1944, courtesy of Australian War Memorial. A Javanese coolie at Oudong Camp, Pak Taroeng, was suspected of theft. After an attempted escape, he was interrogated, beated and confined. 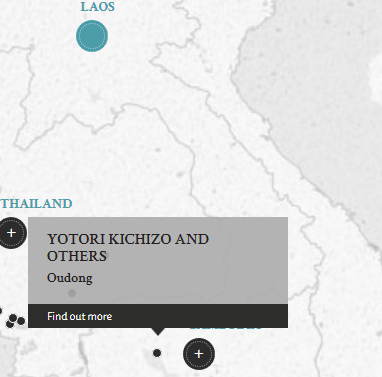 Yoshihiro Kamori, a medical doctor the third accused, obtained permission from Yotori, Kichizo, the first accused, to kill Pak Taroeng by using him as a live exhibit for an anatomical demonstration. Pak Taroeng was said to have died at some time during the demonstration. After the demonstration, the victim was then buried by Watanabe Kasumasa, the second accused. One of the accused, Yoshihiro Kamori, has his property confiscated and proceeds given to the dependants of the accused. Confiscation of property is an unusual sentence and was later deemed invalid by the Department of the Judge Advocate General in its review report. Yotori, Kichizo. Major. From Japanese military. From Japan. Guilty. Death by hanging. Sentence confirmed. Watanbe, Kasumasa. Lieutenant. From Japanese military. From Japan. Guilty. Death by hanging. Sentence confirmed. Kamori, Yoshihiro. Medical Captain. From Japanese military. From Japan. Guilty. Death by hanging and confiscation of property. Sentence reduced. Death by hanging. Walsh, M. C. Lieutenant Colonel. From British military. Court president. Lala, G. C. Major. From British military. Advocate in India. Khan, T. A. Captain. From British military. LLB Advocate in India. Fouracres, M. C M. Major. From British military. Sahay, S. B. Major. From British military. Advocate in India. Prestt, A. M. Captain. From British military. Vine, P. A. L. Major. From British military. Uchida, Zenjiro. Judge, Nagoya High Court. Kohli, R. D. Captain. From British Indian Army.